A few weeks ago I was cleaning out a drawer. I always stand amazed at how many different things I can stuff in one drawer. Needless to say, I threw out a lot and the drawer needs to be gone through again as it is still quite full. I never know what I’ll find when I tackle a drawer. That day I found a copy of something that captured my attention. I found a copy of a letter I had written to someone whom I love very much. I mailed her a copy and for some reason, I made a copy for myself. Maybe God knew I needed to re-read it one day. It was written on September 18, 2006. From our phone conversation it seemed like you were having a day where you felt unloved. I’m so sorry you felt that way. I think we can all have days like that at times. That’s why I believe understanding the deep love God has for us is the only remedy to the desperation and misery we feel on those days. He loves me, warts and all. He loves you, warts and all, no strings attached. It’s not a conditional love, its an unconditional love. There’s nothing you nor I could ever do that will change that fact. We all do things we regret. God has provided the most wonderful way to live. It’s forgiveness. Life is a journey and part of that journey will include times where someone injures us or we injure others. With God’s help, we can forgive those who have hurt us and we can seek to be forgiven by those we have hurt. God forgives us when we mess up. On this life journey we learn, we grow. Hurts can be healed. Broken hearts can be mended. We will stay connected to each other, but I do have a favor to ask. Please try to focus on the positive things in life, with the most important thing being to understand your value in Christ. That’s where your self worth lies. You are infinitely loved and accepted by Him. I pray you will understand the depth of God’s love and accept that love through faith. I believe that letter made a difference in her life, even though we never discussed it. I knew I was to write it and I prayed the truths seeped down deeply into the pores of her soul. 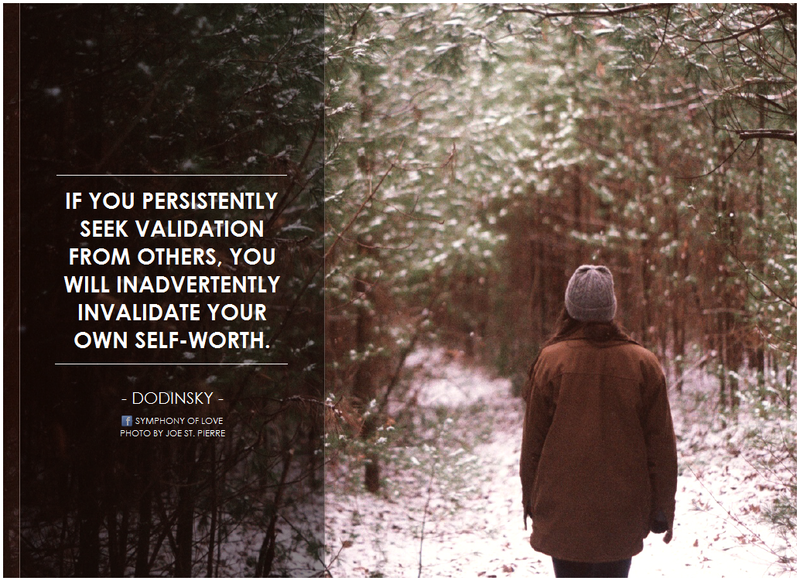 It’s so easy to seek to find validation and worth from things and people. We will always come up feeling empty, lacking, and discouraged when we seek for love, acceptance, and value in those places. These places are temporal and imperfect. There’s only one perfect place to find it. And, He has a name: Jesus. God uses you to remind His children of his undying love!